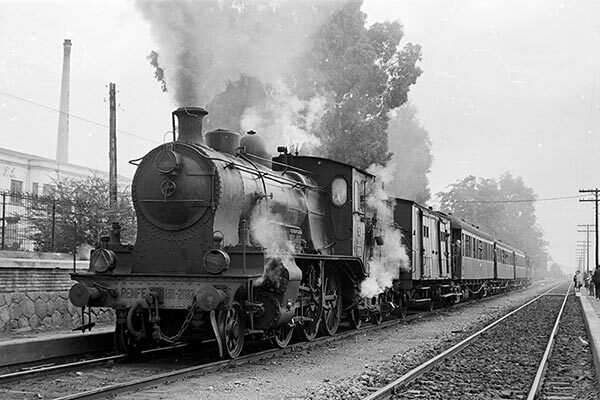 Caption - RENFE 2-6-0 130-2082 heads an Alicante to Murcia train and is seen at Albertera in 1966. Built by Henschel in 1910 these locos had small 4-wheel tenders and were fired with coal briquettes. A few months later this service was dieselised, and the last four remaining members of the class withdrawn from service.